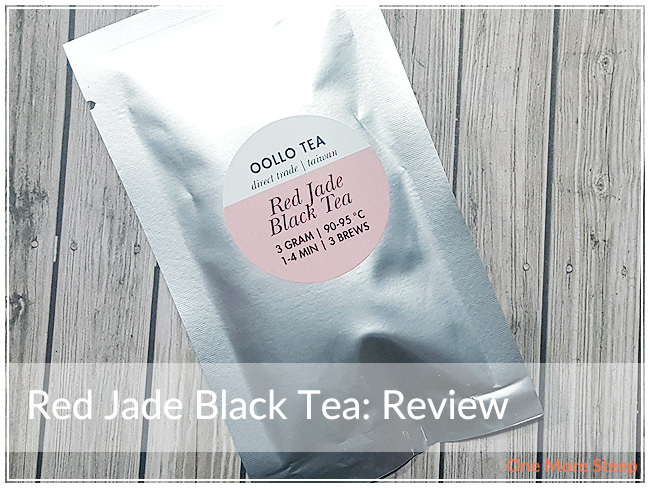 Oollo Tea has provided me with Red Jade Black Tea for the purposes of providing an honest review. I received this product at no charge to me and received no other compensation. One of the sample packets I got from Oollo Tea back in November 2016, this their Red Jade Black Tea. The tea leaves are long and wiry with how they are twisted together. The leaves themselves are dark, and when I opened up the bag the first thing I smelled was plums. There’s the sweet smell of plums mixed in with raisins. It’s an intriguing mix of fruit flavours, and it’s got my interest piqued. Red Jade Black Tea is a straight black tea, consisting of tea from Yuchi, Nantou, Taiwan. Oollo Tea recommends steeping in 90-95°C (194-203°F) water for 1-4 minutes. 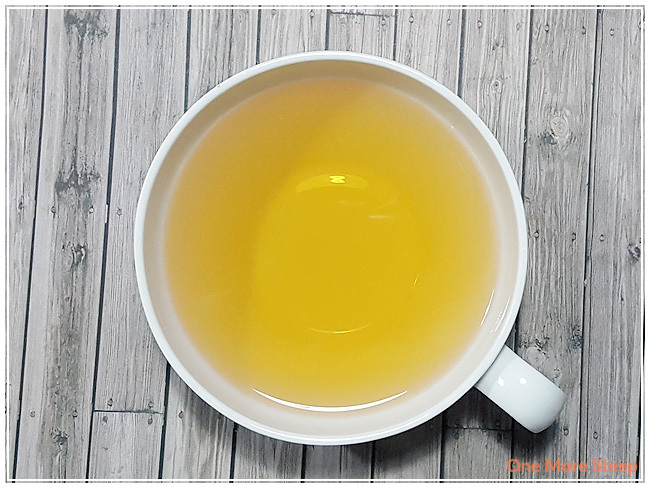 For those who’ve read my previous reviews before, you know how much I rely on my Breville IQ Kettle for the perfect temperature water – I used the Oolong setting (91°C/195°F) and did an initial steep of 2 minutes. Red Jade Black Tea steeps to a really pretty light golden orange – it reminds me a lot of the orange found in sunsets (which then makes me think of summer and how we’ve been having a lot of snow here…). There’s a nice plum and raisin aroma that comes from the tea when I smell it after it has steeped. On first sip, the first thing I taste is the taste of the plums and raisins. Then comes just a slight astringency at the end of sip that is met with a cool minty taste. As I continue to sip this tea, I find notes of warming cinnamon spice flavour, that really balances well with the sweetness of the plums. The minty flavour isn’t as prominent as the cinnamon, but it does make for quite the variation in flavour in the same cup of tea. 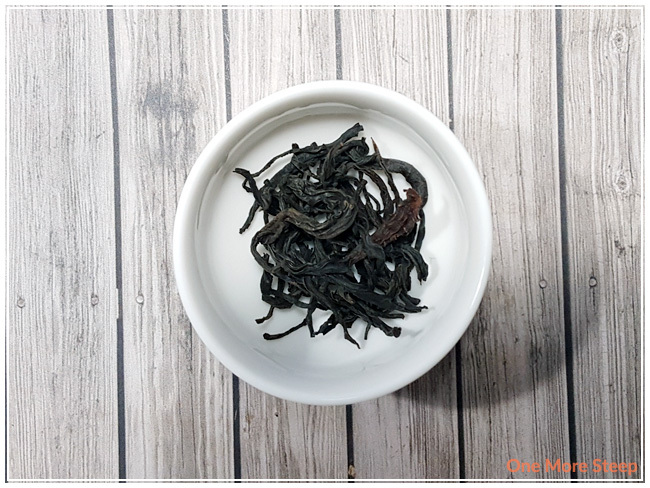 Overall, I really like that this is a full-bodied tea, it has a great mouthfeel to it without being oily, and there’s a complex blend of flavours that makes it really fun to drink. The packaging suggested that I could steep this tea three times, so of course I did just that. I added an additional 30 seconds per subsequent resteep. 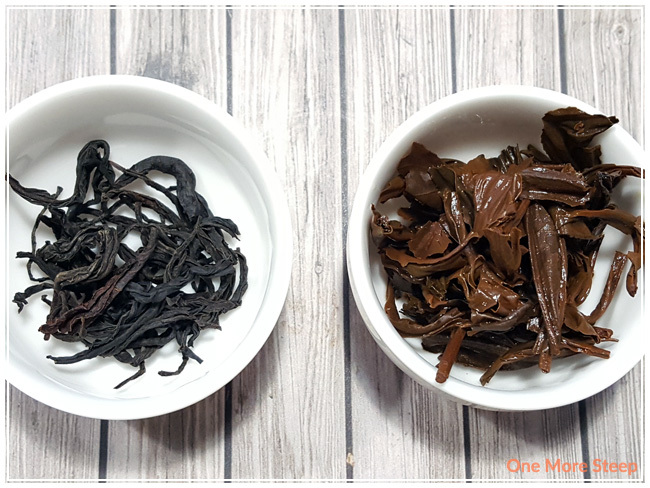 I found that the tea has very similar flavours in steeps 2 and 3, but found that the plum flavour is far more pronounced in steeps 2 and 3 than the flavour of raisins. I loved Oollo Tea’s Red Jade Black Tea. What I thought was going to be a fairly straightforward black tea ended up being this delicious roller coaster of flavour. From the beginning to the end, each sip takes you on this crazy journey that starts off with the warming flavour of cinnamon and ends off with a cool bit of mint. It might be the most complex and interesting black tea that I’ve ever had the pleasure of steeping. And all the while, the notes of plum and raisin hang in there to balance out the warming and cooling flavours. It’s just plain delicious.